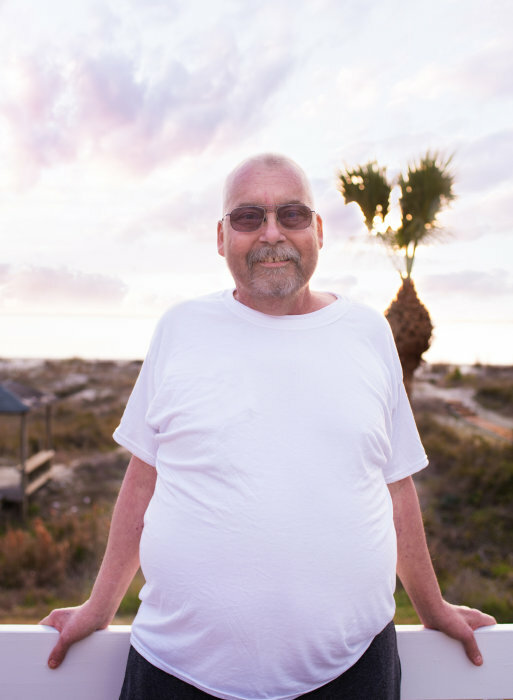 Mr. Alvin “Buddy” Emerson Prater, II, age 56, of Walterboro, entered into rest Friday, March 22, 2019 at MUSC Trauma Center, not because of cancer. Born December 30, 1962 in Walterboro, he was a son of Mary Herrington and the late Durell Herrington. He was an electrician for Briteline Extrusions. Buddy was a wonderful person with a big heart, who always knew how to make you laugh and loved to feed everyone. He loved to travel with his family and was a hardworker. Most of all, he was a loving and devoted father and grandfather. Surviving are: his mother, Mary Herrington of Walterboro; children, Nicki Florence and her husband Jacob of Summerville, and JJ Prater and his wife Lizzy of Walterboro; ex-wife, Maxine Prater of Cottageville; grandchildren, “Papa’s girls” Eden Prater and Emerson Florence; brother, Jason Prater of Walterboro; sister, Sandy Prater of Walterboro; nieces, Jade Abudia and Ally Robertson; one he loved as his own, Joy Eaddy and her husband Clint, and their children, Blake and Perry, of Walterboro; close cousins, Craig Moore and Bo Chapman; and special friends, Bobby Christopher and Lilly Christopher. Funeral services will be conducted 3 o’clock Sunday afternoon, March 24, 2019, at Berea Advent Christian Church in Smoaks. Interment will follow in Hagan Cemetery. The family will receive friends Saturday evening from 6 until 8 at THE BRICE W. HERNDON AND SONS FUNERAL HOMES AND CREMATORY, WALTERBORO CHAPEL, 1193 Bells Highway Walterboro, 843 538 5408. Visit the online registry at: www.briceherndonfuneral home.com.